For several years now, tennis fans across the world have got used to Switzerland’s Roger Federer being referred to as the greatest tennis player of all time. The sheer weight of his achievements, and the number of records he holds, make it difficult for anyone to contest that claim. 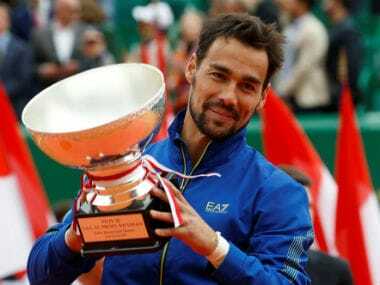 Nevertheless, there has always been a small doubt at the back of the mind that the Swiss ace may not be entirely worthy of that exalted title. Although he could probably be freely considered to be the most gifted tennis talent of all time, there have been distinct chinks in his armour that have precluded the laying of the supreme accolade at his feet. 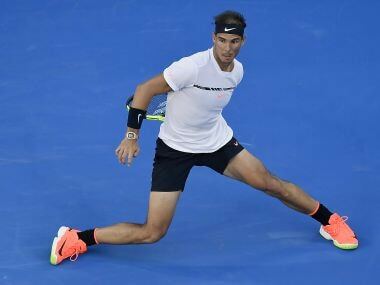 Before the 2017 Australian Open men’s singles final ran its course, one could have considered the name of Rafael Nadal as a serious contender for the title of “the greatest”. Federer, at 35 years of age, had 17 major titles in his kitty, three more than Nadal and American Pete Sampras, who were deadlocked in second place at 14. 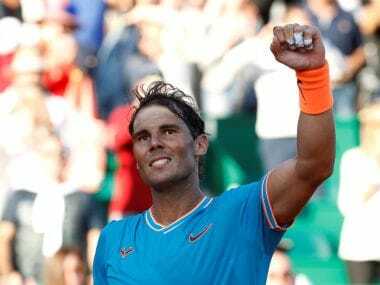 Nadal, who turned 30 in June last year, had made a successful return to top-level tennis after spending a miserable 2016 riddled with injury. He had once again revealed his phenomenal speed of foot, metronomic accuracy of stroke, tremendous stamina and mental strength that had been the main entries on the credit side of his ledger during his salad days. The Spaniard’s ability to grind down his opponent, with shot after shot coming back with dividends attached, was on view in the course of his run-up to the final, not least during his five-set semi-final triumph over ‘Baby Fed’ Grigor Dimitrov. That penultimate round match, which looked a mirror-image of some of the classic Federer-Nadal clashes of the past, showed that Nadal could once again last the distance in a Grand Slam final; nay, impose his will on such an encounter. Mental strength. That, perhaps, was the main area where Nadal had scored over his Swiss rival, against whom he held a runaway 23-11 winning head-to-head record before the Australian Open final, with 15 of their 34 previous matches having taken place on Nadal’s favourite surface, clay, and 10 having been played on outdoor hard courts. Federer’s poor 2-13 and 2-8 records against Nadal on clay and outdoor hard courts, respectively, did little to justify his claim to being the greatest. Worse, as many as 21 of their previous matches before the 2017 Australian Open had been in tournament finals, of which eight had been in Grand Slam event finals, and where the Spaniard held a 6-2 edge. 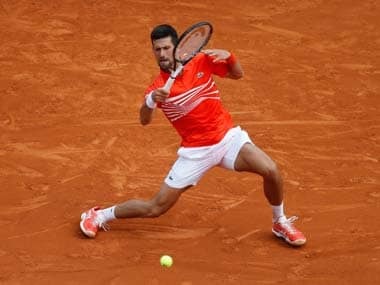 Between 2006 and 2008, they contested every French Open and Wimbledon final, with Nadal winning all three matches on his beloved red clay of Roland Garros and also the 2008 Wimbledon final, which is considered by many to be the greatest Grand Slam final in history. Nadal recovered from the loss of the third and fourth sets on closely contested tie-breakers, to take the decider at 9-7. The only time that Federer won the French Open was in 2009, when Nadal suffered an unexpected early defeat at the hands of Robin Soderling that snapped his streak of four successive French Open titles, and remained the sole aberration in a decade-long saga of dominance when he won the crown nine times between 2004 and 2014. Thereafter, Nadal bowed to Novak Djokovic in the 2015 quarter-final. On most occasions, it would be Federer who did the front running, with Nadal changing tactics midway through their clash, and roaring back into contention. And invariably, whenever a match lasted the full five sets, it would be Nadal who would look the fresher of the two competitors, and would literally grind Federer down with relentless retrieving and accurate counter-punching. But tennis aficionados also felt that, in the matter of career longevity, Federer with his smooth, graceful style and ability to glide effortlessly across the court would outlast Nadal, whose all-action, brutally physical style of play tended to place huge demands on his body. 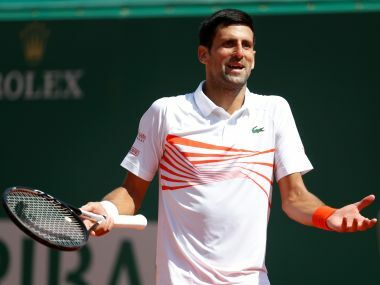 It is worth recalling the common thread that ran through their post-match reactions during the entire period that Federer and Nadal sat undisturbed atop the world rankings between 2004 and 2010, and before Djokovic began troubling both of them. 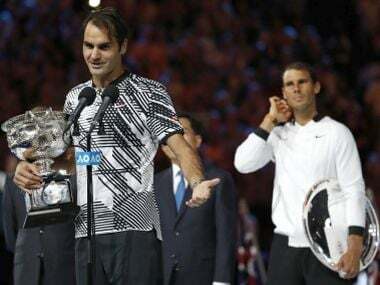 Nadal was always gracious, whether in victory or defeat, whereas Federer often sniped at his Spanish rival and showed poor grace when he would be bested in a title encounter that went the distance. It led former Indian Davis Cup player Vijay Amritraj, now a respected TV commentator, to remark, “The difference between these two great players is that Nadal respects Federer, but does not fear him, while Federer fears Rafa, but does not respect him.” It was a particularly perspicacious comment that revealed the psyches of the two celebrated gladiators. A lot of all this changed on the balmy Sunday night in Melbourne, when both these amazing players capped their return from career-threatening injuries, to produce yet another classic that ranks right up there with their epochal 2008 Wimbledon final. For most of the title clash, events followed a somewhat expected course. Federer did the initial front-running, as is his wont, before Nadal changed tactics in the second set, and threw in more balls in an effort to wear the Swiss down. In consonance with their respective playing styles, Federer was almost always ahead in the ‘winners’ column, while Nadal compensated by being extremely frugal in the ‘unforced errors’ column. Federer, who served brilliantly throughout the contest, kept pressing to close out the rallies, but his fierce antagonist would simply get that one extra ball back. And so, after Nadal evened set scores at one-all, Federer stepped up a gear and captured the third, the Spaniard piled on the pressure and virtually returned the compliment of the one-sided third set with two breaks of his own in the fourth. The Swiss ace stayed competitive by clawing a break back, but Nadal efficiently served out the ninth game (as he had done to close out the second set), and promptly broke Federer in the third game of the deciding set. As the Spaniard consolidated the break to 3-1 with a tight service game in which his opponent pressed hard, it looked like ‘déjà vu’ all over again. The mentally strong Nadal would simply not yield. I venture to state that the following five games were probably five of the best games that Roger Federer has ever played in his long, illustrious career. To sustain his aggression and unbelievable level of shot-making for five games in a row, when he had returned to tournament play after half a year on the sidelines, and when his ageing legs must have felt as if they were on fire, was a feat which richly deserved any and all encomiums that could be heaped upon him. While twice breaking the effervescent Nadal — who kept haring out to his baseline after every game break, as if to show that he still had plenty of gasoline in the pot — and holding this own serve thrice, at the fag end of a high-octane duel that lasted a little shy of four hours showed the indomitable resolve and strength of mind that Federer had been accused all along of lacking. 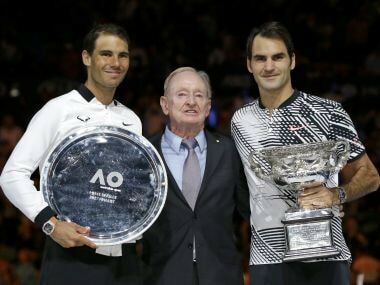 It was only fitting that the two great players, both dripping graciousness and mutual respect, should receive their Australian Open trophies at the hands of a former tennis ace who also lays claim to the accolade of an all-time great, Rod Laver. The diminutive Aussie southpaw is the only man to have achieved the calendar Grand Slam twice – in 1962, during the era when professionals were banned from competing in the majors, and in 1969, when every one of the world’s top tennis stars was eligible to vie for the coveted major crowns. Ranked World No 1 for the period 1964 to 1970, the ‘Rockhampton Rocket’ continued to compete with distinction until 1977 when he was a ripe old 39 years of age, and only retired when — as a distinguished London scribe wrote in The Times — “his mind was making appointments his feet could not keep”. It was a sight for the Gods as three of the greatest tennis players of all time stood side by side, with Federer clutching the glittering trophy to his chest as if he would never let it go, and gracious words poured from his lips (“There are no draws in tennis, but if there had been, I would have been very happy to accept a draw tonight, and share it with Rafa”). The Swiss master had finally ticked the last box that had stood in the way of his being termed the greatest. Both on the court, and off it. Many of Federer’s most ardent fans are not aware of the identity of the couple that sits in his Player’s Box at the Australian Open, in earlier years behind his then coach Stefan Edberg, and this time behind his recently appointed coach, Croatian Ivan Ljubicic. They are not the Swiss star’s parents, but the parents of his first international coach, Peter Carter. Federer was just nine years old, and playing tennis in relative obscurity in Basel, when Carter, an Adelaide-domiciled Australian, took the lad under his wing, and helped him realise his full potential. Over the next dozen years, Carter took Federer step-by-step to the threshold of international greatness. It was Carter who convinced Federer to switch from a double-handed backhand to the graceful and effective single-hander, which is a stroke of rare beauty and has, over the years, become the Swiss player’s hallmark. The idea was to gain those vital extra few inches of body torque when a player is at full stretch on his backhand side. Under Carter’s tutelage, Federer developed the single-handed backhand, which gave him great variety. He employs the slice, occasionally using it to lure his rival to the net and pass him, either along the sideline or across court. The Swiss can also fire topspin winners and possesses a wristy ‘flick’ with which he can generate pace, to pass an opponent at the net. Federer was in full flow by 2002, and — as history shows us — just a year shy of making his Grand Slam breakthrough with the 2003 Wimbledon title. However, in a terrible tragedy, Carter was killed in 2002 in a car accident while on a vacation with his wife. He was just 37 years of age at the time. The Swiss ace, who was playing a tournament in Toronto at the time, was so overcome by grief at his coach’s death that he is understood to have run blindly through the streets of the Canadian city, bawling his heart out. Every year since Peter Carter’s untimely demise, Federer has left standing instructions with his team to send an all-expenses-paid itinerary to the Adelaide-based Bob and Diana Carter — first-class air tickets, a suite in the same hotel as Federer, food, admission to winner’s parties, and even commiseration meets in Melbourne. The gesture, which has, at Federer’s insistence, never been publicised, marks him out to be as good a human being as he is an artist on court. The Carters, eyes as damp as Federer’s were on Sunday night, after Hawk-eye awarded that final point to him in response to Nadal's despairing line challenge, were on their feet and listening with rapt attention when the voice of the man they consider to be their foster-son reverberated through the arena as he launched into his extempore victory speech. There was no doubt some concern in their minds as, for a brief moment, it sounded as if Federer was bidding the packed Melbourne crowd farewell for a final time. The champion dwelt on how he would love to return to the scene of some of his greatest triumphs, but that his body had, in the second half of 2016, reminded him of his mortality, and that his return next year could not be considered a given. 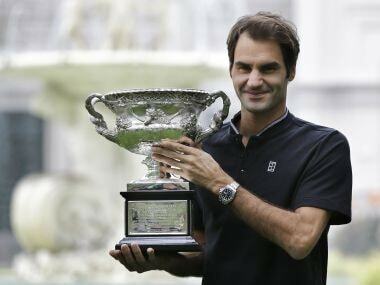 Federer, seven months shy of his 36th birthday, is as exceptional a sporting icon as Laver was. The Aussie left-hander’s 200 singles titles are the most in tennis history, and he holds the all-time male singles records of 22 titles in a single season (1962) and seven consecutive years (1964–70) of winning at least 10 titles per season. And, as mentioned earlier, he played competitive international tennis till he was 39. At least in quantitative terms, Federer may feel he is way behind Laver, for his satchel contains a “mere” 88 singles titles, though still the most among players who are still active. But then, against Laver’s total of 11 Grand Slam titles, Federer has bagged three of the four Grand Slam crowns at least five times apiece (seven times at Wimbledon on grass, his favourite surface), the sole aberration being the French Open, which he has won only once. Federer has played in an era that has witnessed even more intense competition than at Laver’s time, and between some of the greatest players in history – Sampras and Andre Agassi at the start of his career, and Nadal and Djokovic over the last decade. With his smooth, balletic movements around the court (that have been oft described with the somewhat trite epithet “poetry in motion”), where he barely seems to put a foot wrong, his ability to stay injury-free for the greater part of his long career, and his tremendous work ethic (which he fleetingly, almost shyly, referred to during his victory speech), Federer could surely squeeze some more juice out of his late-30s, and further reinforce his status as the sport’s greatest ever champion.